A little holiday spirit for this week's hiatus post. Please head over to Who We Become to see some other weekly favorites. Who needs a Christmas Tree Farm? We've got the sidewalk in front of Rite Aid. Please stop on by Who We Become for more hiatus fun. Who We Become: hiatus post 3. In memory of the kind and beautiful Spook Testani-Gordon. Sunset on the West Side. See all of our hiatus images over at Who We Become. We are gearing up for our next project over at Who We Become, but rather than let our perfectly lovely collective blog grow moldy until the new year, we will be posting a hiatus project. There is no theme, no rhyme or reason, just images that we want to share. For my first hiatus post, this solitary figure caught my eye as evening fell. Please head over to the blog to see what the rest of our group has seen recently. And...scene! Another year of shooting, another year of collaborating with friends, another year of photography. 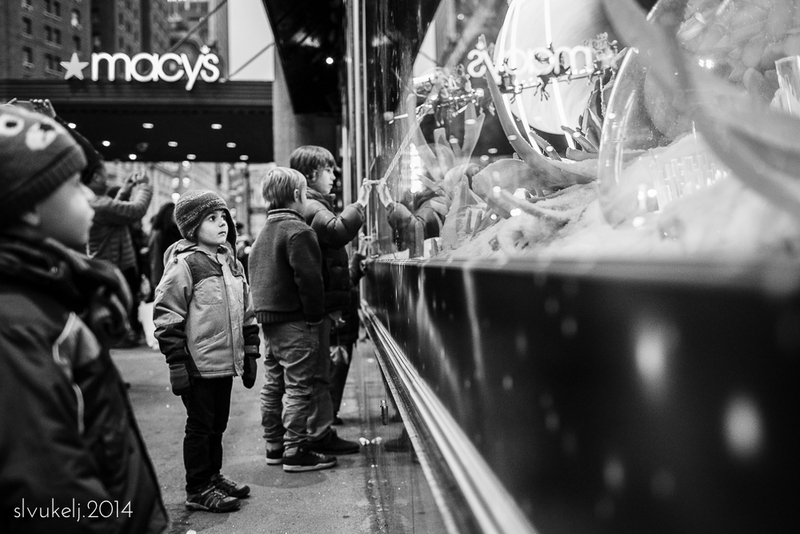 Participants in Photo 52.2: Framed are closing out the project with a personal favorite from the year. Mine is a new shot and is not a favorite of the year, or even the week, but simply a favorite image I took today. It is a reminder to enjoy the city I live in; the city I love. We have some new ideas over at Who We Become and we hope to get them up and running in the next month or two. It is exciting to embark on a continued collaboration with my talented and generous friends - especially one that feels a bit different from our more technical goals of the past two years - and we hope we can convince you to come along for the ride. Who We Become - week 52. Week 51! We've nearly made it through another year. I woke up this morning determined to make the most of our final week of creativity exercises - a little double-exposure, a little off-camera flash and a lot of fun as we wind it down. Please hop over to Who We Become and see the rest! It is a little sad and daunting to come to the end of a long-term project. As I nearly cross the finish line for our second 52 week collaboration, I find myself with much to think about, both in life and photography (and where the two meet). And so, our theme for week 50 struck me as particularly relevant because I am feeling very out of focus at the moment. Intentionally out of focus imagery can be beautiful and I do have a few scattered throughout my portfolio. I love the soft ambiance and anonymity they evoke. 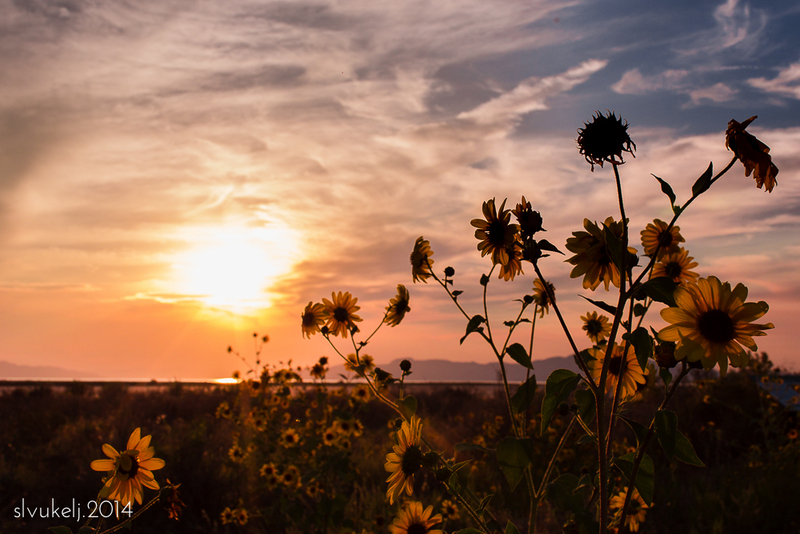 However, shooting out of focus images is not truly my style, so in an effort to shake off all that has been clouding over my brain these past few months, I used a beautiful sunset at the Great Salt Lake this weekend to create a sense of softness but with some identifiable focal plane. All of my mumblings aside, at the very least, who doesn't enjoy a beautiful sunset? Please head over to Who We Become and see everyone else's perspectives. And since some of my friends were with me in Utah, you may get another look at this lovely scene. Only four weeks left of Photo 52.2: Framed. We've nearly made it through another year! After a bit of a breather, those of us participating over at Who We Become hope to come back with a new and different project for the coming year, so please stay tuned. September is here and we're closing out the year with a few creativity exercises. This week is multiple exposure. I hope to learn how to properly do this with film but digitally these images can be created in-camera, if your camera body has the technology, or in Photoshop. Since I have yet to learn how to use Photoshop, in-camera it was for me! Figuring out how to make a dynamic composition will take some time to master, but I had fun creating these cityscapes - a little skyline juxtaposed with our newly minted bike-rider in action. Please head over to Who We Become and see the other fun my friends have had this week - the sneak peek I had of one of the images blew me away and I can't wait to see the rest! In our final week of traditional composition, it's Photographer's Choice. 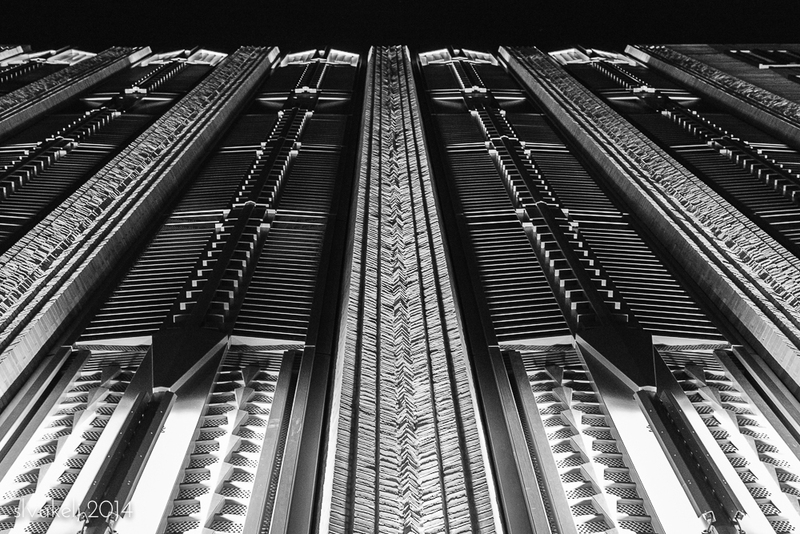 While this is a basic centered composition, I love the complex geometric details in this lovely art deco facade. Please head over to Who We Become to see some other favorites from the month! Week three of our traditional compositional challenges - it's the Golden Spiral. Can you see it? For more on the technique, please head on over to Who We Become for this week's discussion and imagery. Our month of traditional compositional technical study continues. This week, it's the golden triangle. If you'd like to geek out on the math, check out some info on the golden ratio to see the fundamentals of the concept. However, to offer a basic explanation, we are using the same aesthetic notions that we did with the rule of thirds, but this time, our goal is to create diagonal lines in our images to form isosceles triangles. Points of interest in the image should lie along diagonals and at the intersecting points of the triangles in order to create a dynamic image and lead the eye around the frame. Creating one triangle is relatively simple. Creating two is more of a challenge. I am having a terrible time articulating how this works so I have also included a screen shot of the Golden Triangle overlay offered as a cropping tool in Lightroom. The lines are faint, but in this image, the angles created by the table, my son's gaze and reach, and my father's bent arm all form triangles within this image, giving it a dynamic flow. In the second image, there is a clear triangle created by the road and building leading to the city skyline, but there isn't really a second triangle on the right. WIthout that second ancillary visual diagonal, it lacks the complexity of my first shot. Head over to Who We Become to see the angles we found this week. We are spending August exploring traditional compositional methods. This week, it is the intentional use of centered composition that gives our images some oomph. Here, I have a fun iPhone shot of the Super Moon as well as an unusual perspective of Grand Central Terminal. The Park Avenue access tunnel and overpass were closed to vehicles on Saturday and bikers and pedestrians took advantage. Please head over to Who We Become for everyone's work this week! August! Nearing the end of summer and the end of our P52. At this juncture in our year-long study of compositional techniques, we bring it back to basics, starting with the Rule of Thirds. Simply put, a photograph is generally (generally!) considered more pleasing to the eye if the frame is divided into a grid with nine equal sections and the subject of the image falls on one of the intersection points. Or with landscapes, the horizon falls on the upper or lower third of the frame rather than in the center. This week, my guy and I headed out for a photo walk and took a few pictures...in this case, of each other. In my image, his face is on the intersection point at the upper left side of the frame. In his image, while I don't really fall on any intersecting points, the stroller and I occupy the right two thirds of the frame. Fun ideas to work on as he gets started. Please head over to Who We Become and check out our collaborative page this week! July is coming to a close and with it, our month of creativity exercises. This week's assignment was a fun challenge for me. Our goal was to use layering as the compositional foundation of our images by consciously giving weight to the content in the foreground, middle and background of the shot in order to tell a story. I found it difficult to purposefully bridge the technical layering - intentionally creating three physical layers - with the story-telling elements. By way of example, I specifically shot this first image with layering in mind. I like that the seals act as sentinels, framing my son as he stands in a pool of light. There is a clear background, middle and foreground and the subjects in the image layers are cohesive. However, there's not much of a story going on. Whereas this shot, which I took a few weeks ago without this assignment in mind, more successfully accomplishes the storytelling layers I had intended to create this week. Small boy taking a break from a family meal - the foreground tells us not only where he is but the drinks and placemat signal my active presence in the scene, despite being behind the camera. The background shows the family and some detail of the restaurant and the middle layer is reserved for my subject. Good food for thought for future shooting. Please pop over to Who We Become - layer week is a good one! Warning, more vacation photos ahead. They may just keep on coming because I have cut myself off from the camera until I wade my way through them. This week on P.52 we continue our exploration of creative compositions with a focus on subject isolation. This can mean using any number of techniques - lighting, depth of field, framing, etc. - in order to make a subject stand out. However, an alternative interpretation is isolation as a subject itself and this is how I chose to approach the week's theme. The vastness of the western United States is astonishing and for me, a feeling of isolation, particularly as it pertains to scope and solitude, abounds. Below are a few favorite shots that embody my take on subject: isolation. Please click on over to Who We Become to see everyone else's beautiful work this week! In our second week of creativity exercises, we are focused on filling the frame with our subject or subjects. This can mean isolating a subject by eliminating distractions, creating a tight composition so that the subject quite literally fills the frame, focusing on details, or creating an image filled with multiple subjects that tell the story. Here are a few images from my Fourth of July, spent in Cody, Wyoming. This was a whole different kind of "street" photography for me, but this collection demonstrates a variety of ways to fill the frame. Please head over to Who We Become to see some of the beautiful portraits and other gorgeous images my friends found this week! July, already! As we start to approach the end of P52.2: Framed, we will spend the month using a variety of photographic techniques and tools to imbue our images with a creative complexity. This week, our focus is on Depth of Field as a compositional element. For a great overview of depth of field - the technical details, how it is often used and why a photographer might make certain selections - please head over to Who We Become. As for my selections here, I like how these images form a story-telling series, in large part due to the changes in depth of field. I was shooting with a zoom lens, so while my aperture remained the same, these are examples of how depth of field changes substantially in a wide angle shot versus a tighter frame. We are at the end of our month on portraiture and this week is photographer's choice. I decided to go with these shots taken on the tram to Randall's Island - hidden portraits, if you will. Please head over to Who We Become to see how everyone has closed out the month! If you are someone who has ever asked about my photography, you will have heard me say - repeatedly - that I am not a family photographer of any family other than my own. It's not my thing, it makes me nervous, I don't know what I'm doing and just...no. However, I have made the very occasional exception, including recently when my gorgeous friend and her equally beautiful family up and left for the west coast and I decided they need some "goodbye NYC" images as part of their farewell. In our final week of classic portraiture, our topic is "group portraits" and below are a handful of my favorites of this sweet, sweet family. I wish you the very best in your new home and thanks for letting me share. New York will miss you! Please head over to Who We Become to see our collection of group portraits this week!